Self-Publisher’s Showcase: Today we are joined by Claire Nana, author of Leverage: The Science of Turning Setbacks into Springboards. Welcome to the Showcase Lounge, Claire. For any of our readers that haven’t come across your work previously, can you take a moment to tell us all a little about yourself? 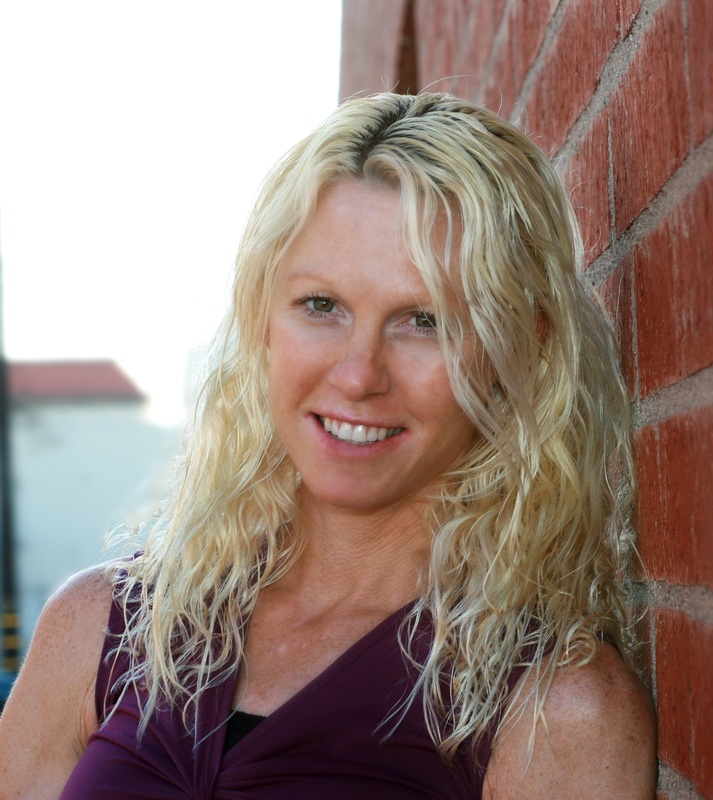 Claire Nana: Sure, I am licensed marriage and family therapist that specializes in post-traumatic growth, which essentially means using adversity as a springboard for growth. In my own life, and the lives of those with whom I have worked, I have frequently observed an innate potential toward profound strength and adaptive response in the face of stress. My book, LEVERAGE: The Science of Turning Setbacks into Springboards, is a compilation of research in the fields of evolutionary psychology, post-traumatic growth, positive psychology, and behavioural economics, as well as real life examples of just how we can learn to turn adversity into growth. CN: I have a need to write something every day. For me the perfect writing conditions are generated by powerful life experiences, which means they happen after becoming really clear and through a few degrees of separation, I can see broad concepts with greater clarity. CN: I had been writing a continuing education course on Post-Traumatic Growth for Zur Institute, and after finishing the course, and having immersed myself in the research that went into it, started thinking that the concept that we can and do grow from adversity needs a broader stage. From that point, the book just flowed out and seemed to write itself. CN: I love to read books that present information that shifts the way we see the world, yet uses relatability to strengthen the message. Kind of like grandfather’s wisdom. SPS: What would you say if anything best differentiates you from other authors? CN: I wanted my book to be a “flip to any page and find something useful” sort of a book. And I wanted my book also to empower readers with the knowledge that obstacles may be exactly what is needed to get where they want to go. 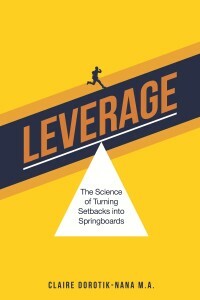 SPS: Can you take a moment to tell us all about Leverage: The Science of Turning Setbacks into Springboards? CN: LEVERAGE subtly asks the question, what happens when you focus on why you CAN achieve what you want, and considers that the obstacles that stand in your way may be exactly the growth enhancing experiences you need to propel you forward. Drawing on relevant research from the fields of positive psychology, post-traumatic growth, behavioral economics, and evolutionary psychology, LEVERAGE makes the case that adversity, in any form, arms us with the tools – gratitude, openness, strength, deepened relationships, and faith – to live the life we want. And then shows us how. SPS: Who in particular would benefit most from reading your book? CN: Really it’s hard to make the case that you can find one person who hasn’t faced adversity. I think almost anyone can benefit from reading LEVERAGE. SPS: Have you included any of your personal experiences in creating your work ? CN: My personal experiences in working with clients through the process of facing, adapting to, and ultimately growing from, adversity are woven throughout the book, however, the concepts in the book, I believe, are relatable to us all. SPS: Can you give us an example of the advice you give? CN: My favorite section of the book addresses something I think can help us all. Dialectical thinking means looking at every situation from multiple perspectives and understanding that nothing is ever black and white. For example, losing your job does hurt. But, on the other hand, may give you time to explore what you really want to do. SPS: Have you received feedback from anyone that has been helped by your work? CN: This is one of my favorite emails, from Stephen Joseph, who I refence in my book. SPS: Do you have a favorite review of the book? CN: This is my favorite review. CN: I am currently adapting LEVERAGE into a continuing education course for fitness professionals, which should be available later this year through International Sport Science Association. CN: Yes, because my intent was always to license LEVERAGE out to various organizations in different forms (mostly as an online learning course). I am happy to report that just last month, I signed an agreement with Jail Education Solutions to provide a LEVERAGE course – for free — to all United States inmates as the technology becomes available. CN: Actually, I am also happy to report that the expeience has been better than I thought. I think today there are so many options out there for writers – especially in the self-help genre – that it makes self publishing really exciting. CN: Writing is a very difficult task, and one that should be veiwed not even as a marathon, but an ultra-marathon. To that end, make sure you are in for the long haul, because if you stay with it long enough, you will be successful. CN: I am a huge fan of Adam Phillips. I think he is really one of those once in a lifetime writers that is simply a gift to the rest of us. SPS: Thank you for joining us today, Claire, and all the best for the future. SPS: For more information on Claire Nana and her work, please do visit her Showcase Author page here.